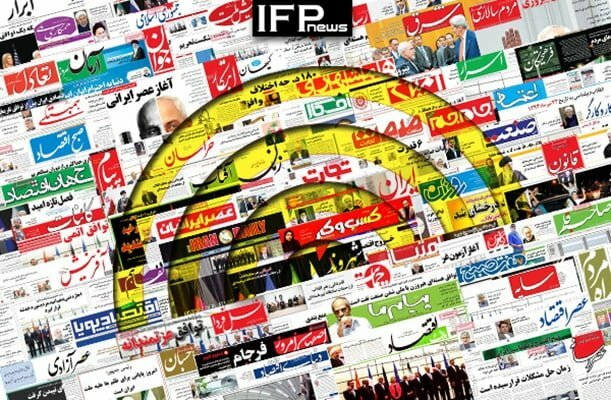 IFP has taken a look at the front pages of Iranian newspapers on Saturday and picked headlines from 26 them. IFP has simply translated the headlines and does not vouch for their accuracy. Newspapers on Saturday covered the landing of a brand new plane Iran had purchased from Airbus, and the end of 39 years of sanctions against Iran’s aviation industry. Reformist and pro-government papers described it as a victory for Iran and an achievement of nuclear deal between Tehran and world powers, but conservatives referred to the plane as a second-hand and rented one, and slammed the government for humiliating the Iranian nation through their overexcitement. Another top story was President Hassan Rouhani and other officials’ remarks about the late former president Ayatollah Akbar Hashemi Rafsanjani. The differing comments made by US President-elect Donald Trump’s cabinet members about JCPOA [nuclear deal] also received great coverage. 1- Iranophobia in US Senate: Tillerson Calls Iran a State-Sponsor of Terrorism in Middle East! 2- Government Extremely Excited about Receiving Planes on Rent! 1- Trusting US Promise: Souvenir of Iran’s Nuclear Negotiating Team from Vienna! 2- Humiliation of Iranian Nation in What Price? One Airplane and So Much Fuss?